There is a fun shop in a historic location at Haugfosstråkka. The shop has been here for over 250 years. Stop in, experience the general store atmosphere and be amazed by how many different things you can find here, from old fashioned boiled sweets to toys. You can tell by the old advertising signs on the wall that this is not the place to buy the latest electronic devices. The General Store at Haugfoss is better known for its traditional boiled sweets. ‘King of Denmark’, polkagris and candied almonds are some of our most popular favourites. Caramels, lollipops, liquorice and chocolates with exquisite centres are other goodies which most people can’t resist taking home with them. 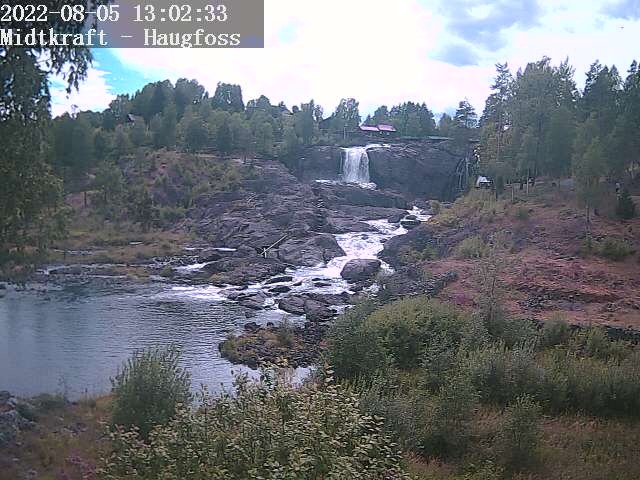 Haugfoss has been a hub for over 300 years, and the old General Store was right at the crossroads where the old Drammen Road forked into the roads continuing on to Sigdal and Eggedal. The building was also a place for socialising, with a pub in the cellar. This is where people like Edvard Munch, Frits Thaulow and their fellow painters ate their lunches during their time at the Open Air Academy in the 1880s. The General Store has several ‘departments’. At the back of the shop is the toy store. This is a place where we can all feel at home. Next door is the place where you find everything you need to kit out your kitchen drawers. We have a huge range of home accessories here. And don’t forget to buy a bag of freshly ground coffee or loose leaf tea to take home.